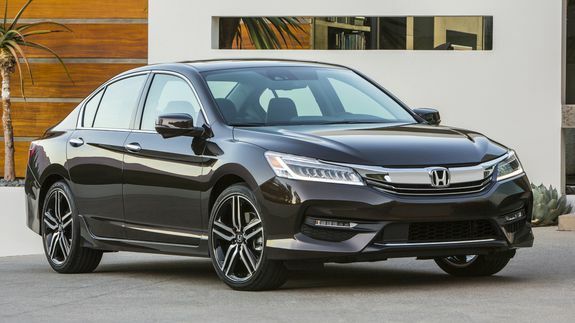 Honda debuts new Accord with Apple CarPlay and Android Auto support - trendistic.com: ever tried. ever failed. no matter. try again. fail again. fail better. MOUNTAIN VIEW, Calif. — Honda is the latest car company to move into Apple’s backyard. The car company opened a new research and development facility in Mountain View Thursday, the company’s largest such facility outside of its headquarters in Japan. Honda also unveiled its new 2016 Accord, which will be the first in the company’s lineup to support both Apple’s CarPlay and Google’s Android Auto platforms.